Microsoft released a new update (version 15.9.7) of Visual Studio 2017 with the fixes of few issues reported by customers in the past. If you are using Visual Studio 2017, you should update your installation with the latest update. To get the latest version of Visual Studio 2017, either run the installer or check for update notification within the IDE. Here's what's new in this update. Visual Studio 2017 is the latest version of Visual Studio IDE and comes in three different editions. The different editions of Visual Studio 2017 are: Visual Studio Community 2017, Visual Studio Professional 2017 and Visual Studio Enterprise 2017. If you are an indie developer and/or building open-source projects, you can download Microsoft Visual Studio Community 2017 for free. It gives you the total power of the Professional Edition. Point to note that, the next version of Visual Studio, i.e. Visual Studio 2019 Preview is now also available. 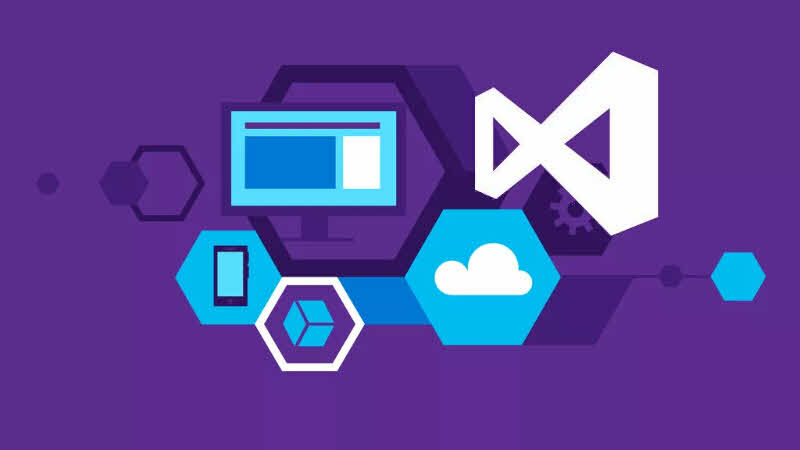 You can download the latest version of Visual Studio 2019 here. What are the issues fixed in Visual Studio 2017 v15.9.7? /DEBUG:FASTLINK + C7 + PCH crashes debugger. Native C++ application crashes because of stack corruption with VS 2017 15.9.2. Xamarin Unobserved Task Exception WebRequest. Link /SOURCELINK option seems to do nothing. This fixes Source Link for Managed C++ Debugging. Fixed an issue with corruption of AVX/MPX/AVX512 registers while Debugging. Update of Microsoft.VCLibs.140.00.UWPDestkop framework packages for C++ UWP DesktopBridge applications adding support for ARM64. Corrected incorrect version of VCToolsRedistVersion in Microsoft.VCToolsVersion.default.props. Corrected unsigned embedded dll for VC Redist installers. SSDT/Web Tools: Fixed an issue where SQL LocalDB was not installed on Polish, Turkish, and Czech locales. SSDT: Fixed an issue affecting SQL Server Aalysis Services (Method not found exception when clicking on UI). SSDT: Fixed an accessibility issue which was causing the contents of a table not to be visible in the result window when using High-Contrast mode. What are the Security Advisory Notices for Visual Studio 2017 version 15.9.7? A XOML file referencing certain types could cause random code to be executed when the XOML file is opened in Visual Studio. There is now a restriction on what types are allowed to be used in XOML files. If a XOML file containing one of the newly unauthorized types is opened, a message is displayed explaining that the type is unauthorized. If it is known that the XOML file being opened does not cause security issues, you can disable the check for unauthorized types by adding a key to the <appSettings> section of the devenv.exe.config file. .NET Core updates have released today and are included in this Visual Studio update. This release addresses security and other important issues. You can find more about this in the .NET Core release notes. If you have come this far, it means that you liked what you are reading (Visual Studio 2017 version 15.9.7 is now available for download).